The Czech Republic, also known as Czechia, is located in the center of Europe, and is a full member of the EU and the Schengen zone. The country boasts amazing natural beauty with pristine lakes, mountains and rivers. The world-famous historical center of its capital city, Prague, has been the backdrop of countless movies. Czechia recently launched an exclusive golden residency program, aimed at serious investors who will contribute to the country’s economy. The program boasts extremely short processing times for the residence permit of the main investor as well as their family members. Furthermore, not all of the investment has to be made available in cash: up to 60% can be provided in other assets. The family members of the applicant can immediately obtain the Czech residence permit, with processing times that are much shorter than family reunification visas for other programs in the country: as a rule, they are issued within 90 days of applying. Natural persons and companies are both eligible to apply for an investment visa. In case the applicant is a company, up to 5 executive directors are eligible for investment residence permits. Passive shareholders are also available for investment visas lasting for up to 2 years. Processing times are extremely short: investors can obtain their residence permit within 30 to 45 days of submitting all required documentation. Another advantage of the Czech investor golden residency is that applicants are not required to travel to the Czech Republic to file their application – they can do so at the Czech consulate of the country of their current residence. 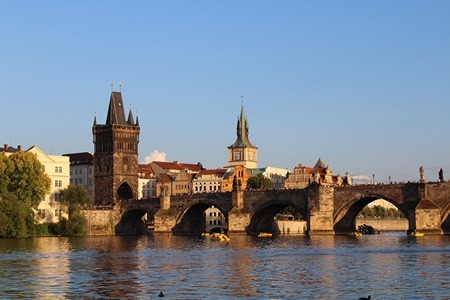 Applicants who already reside in the Czech Republic and wish to change their residence permit can submit their applications directly to the Ministry of Interior. Those wishing to obtain permanent settlement in Czechia can do so after 5 years of continuous residence, while Czech citizenship can be obtained after 10 years of living in the country. Czechia is a full member of the EU and the Schengen zone, so the golden residence permit will allow you and your family to travel freely within the Schengen zone in Europe. Once you acquire Czech citizenship, you will receive one of the most valuable passports in the world, granting you visa-free travel to the USA, the UK and Canada. a business plan has to accompany the application. Naturally, we are able to assist you putting together a business plan and an application that has the best chances for getting approved, so you can hold your EU residence permit in your hands in just 30-45 days. Contact us for more information today!